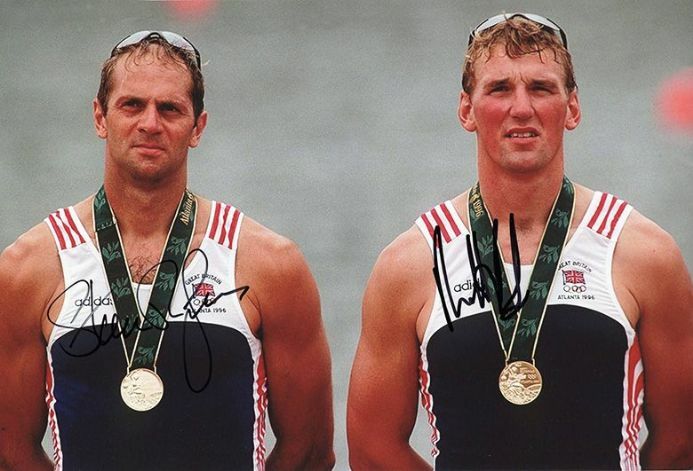 Steve Redgrave & Matthew Pinsent Olympics 1996 Atlanta signed 12x8 inch photo. Steve Redgrave & Matthew Pinsent, Olympics 1996 Atlanta, signed 12x8 inch photo. 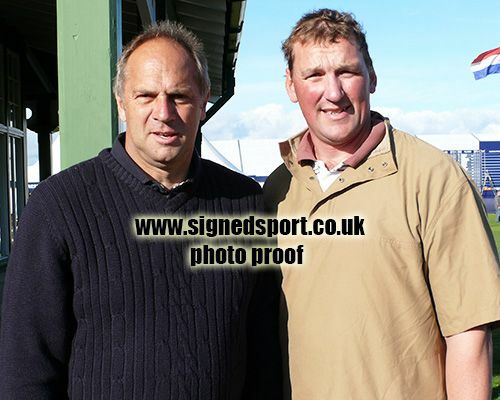 12x8 inch colour photo personally hand-signed in black sharpie pen by multiple Olympic and World rowing champions, Steve Redgrave and Matthew Pinsent.